I haven’t found much information about A/B and Multivariate testing specifically for Miva Merchant, yet testing is so important for improving sales/lead conversions it cannot be ignored. 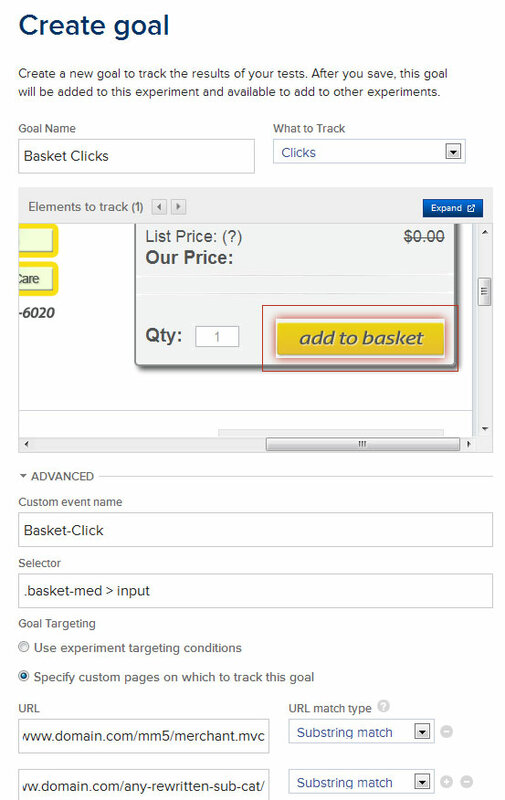 If you want to do A/B testing on e-commerce template pages, this post is for you. If you’re using Miva Merchant, that’s even better. If you’re using the SEO Friendly URLs feature in Miva Merchant, then this method was written exactly for you. Here is how to set up this test. 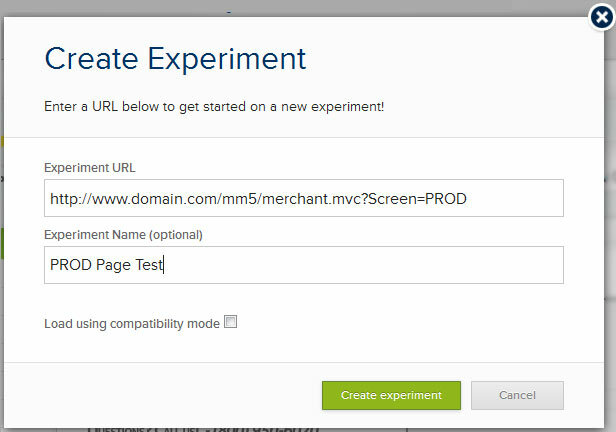 To perform an A/B Test for the Miva product pages, two different pages are required. Alter the code, change styles, add scripts as you see fit on this duplicated version. This will be the “B” of your A/B test, but you can create as many variables as you would like to test at this point. We’re off to a good start but if you are using search engine friendly URLs, we need a tool that can adapt to this and ensure users are seamlessly directed to your TEST version as applicable. In the past, I would use Google Website Optimizer to run Multivariate tests on my pages. Google has since gotten rid of Website Optimizer and now has an (inferior) A/B testing feature in Analytics called “Content Experiments”. At the time of my test, Google’s new tool has no Multivariate capability. This may have changed. The point is that Miva URL Rewrites for template pages make testing impossible with Google’s tool. Just try and you’ll go bald from pulling your hair out. After doing research into A/B Testing Tools, I found Optimizely. It is reasonably priced, comes with a 30 day trial period, responsive support and an intuitive interface that runs almost any kind of test. The trial is perfect because you can ensure the tool is working correctly before you ever pay for it. Because we chose Optimizely, I’m going to walk through the steps we took to run our test while respecting our rewritten URLs. Create an Optimizely trial account. You should see the PROD Page template appear in the Preview Frame. In the Edit Mode for the Experiment, click “Targeting” in the Options dropdown. Now, Optimizely needs to do a little extra code jiujitsu to get users to the correct variation when users visit your PROD Page. First, click the “Variation #1” Tab at the top. You will probably see a popup that says “Redirection Notification” and your Variable page. If you DO NOT see this, you need to click the Dropdown arrow next to Variation #1 and click “Redirect to a New Page”. In “Editing Mode”, click the button in the bottom-right that says “Edit Code” A menu appears. Obviously the code you will use depends on how you are rewriting your URLS and the name of your Test page. Goals can track almost any kind of engagement or conversion; in our case, we want to track Basket Clicks and Revenue. 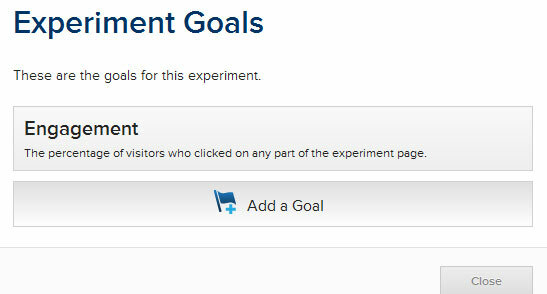 At the top of the Optimizely Edit screen for this test there is a “Set Up Goals” button. Click this, then click “Add A Goal”. Name it “Basket Clicks”. Under “What to Track” select “Clicks”. In the view that displays the PROD page, click the “Add to Basket” button by clicking it. Under Goal targeting, make sure you select “Specify which customer pages on which to track this goal” and add: www.domain.com/mm5/merchant.mvc and www.domain.com/any-rewrite-categories/ For the URL Match Type, you will select “Substring Match”. Next, we need a revenue goal. Click the Set up Goals button again and add “Revenue”. The Optimizely snippet will do its work by using a Tracking Event on your Invoice (INVC) page. We will add these snippets in the next step. 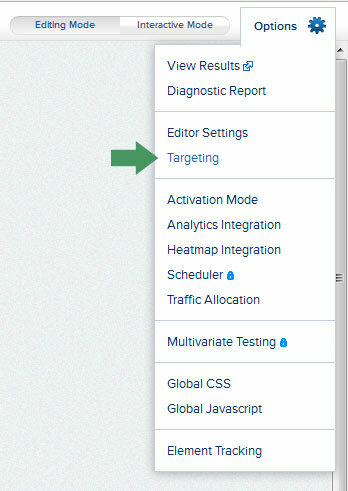 In this step, you will add the Optimizely snippet to the portion of your PROD page, the VARTST page and your INVC Page. VERY IMPORTANT – Remember earlier in “Select Targeting” we told this test to apply to ALL pages of the website? Make sure you ONLY install the tracking script on the PROD page, its Variation page and the INVC page! DO NOT install this script sitewide! 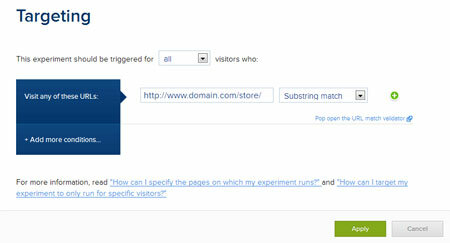 Doing so will cause your urls to redirect incorrectly to your variable page!